Have you ever worked really hard on something, like writing a book, then you actually get it out there and you instantly have the thought, “Holy crap! What am I thinking? What did I just do? 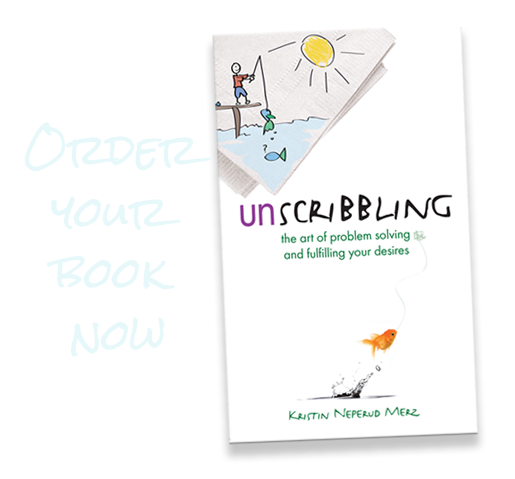 Who would want to read what I have written anyway?” That is exactly where I found myself last week when I launched my book, Unscribbling: the art of problem solving and fulfilling your desires. Despite countless words of encouragement, that I will be forever grateful for, the self-doubt was creeping in like a freight train filled with Zombies coming to eat my brain! The writing part (that I loved) is all done, but now the pressure is on to “make this a success” lest I look like a total jackass. But… what does that even look like? Success that is. Sales in the thousands? Speaking gigs? Fame? Money? Or is it, as people like to say, “If it touches one person, it’s a success”? So, how do I make this book a success? What qualifies it for success? What can I do so I can say, “yeah, I did it! I did not just waste over 1000 hours of my life creating this book for nothing” and keep my head held high? So, what WAS I thinking? Why did I write this book anyway? I’ll be honest with you, for most of the writing I wasn’t thinking. 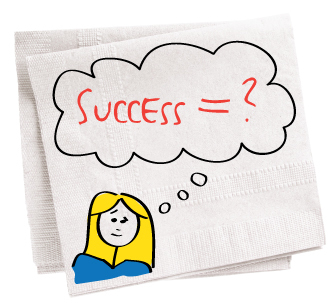 Well I was, but not about where this book could go and how do I make it a “success.” While I was writing this book, there was this problem solving concept and these overwhelming thoughts that just had to come out. I had to express them. They just kept forming in my brain. I could see how the process worked and helped. I could see people struggling with things and just wanted them to know about this process. I just had to write it. I had to process it, think about it and figure it out so I could explain it. I couldn’t help myself. It just insisted on coming out. I’ve seen that same thing with some of my creative writing friends too – their stories and charters just have to come out of them, or they will keep swimming around in the author’s head, knocking on all the sides, giving the authors’ headaches looking for the escape hatch until they get out or drown. To express and use my gifts of compassion, love, honesty, humor, problem solving and creativity along with my insights and examples on a regular basis. To express and use my gifts… And that is exactly what I had been doing as I wrote this. I was actually accomplishing my desires all along before anyone could even buy the book! In that regard, the book is already a success. It helped me to fulfill my desires. Nothing more on a personal level needs to happen with this book for me. It is expressed. It is out there and my personal desires have been fulfilled. Now I need to let it go and allow it live on its own. I have to allow readers who want to learn from it to learn, or not; to agree with the writings in the book, or not; to love it, or hate it; to take it, or leave it. Whatever anyone chooses is fine. It will not hurt me, for I am not promoting me here. I am promoting a thought process that has the potential to help. My personal desires for the book are gone. Do I hope people read it? Yes. But whether they do or not is their deal. Whoever explores the book, or not, is completely beyond my control. I have no control over if you decide to buy the book, or not. I have no control over how many books overall get sold. I have no control over everyone else’s actions. I can only control mine. I wrote the best book that I could on problem solving. I will continue to try to gain outreach for the message of this book, but not so that I can call it a “success because it sold X amount of books” – in my world the book is already a personal success. I will try to gain outreach so I can continue to do what I love – expressing myself and exploring these ideas that don’t want to drown. But I need to allow people to come to it as they will, hoping they will find it when they are supposed to if they are supposed to and that it will help. Now is my time to just be and allow. When you are writing your book, creating your business, or painting your masterpiece – try to keep in mind what your true desires might be in the moment. Are your true desires in the process about promoting yourself or creating the best book that you can? Is it about selling a million books or about enjoying the moment as you are expressing yourself and being creative? FYI – If you think you really desire to sell a million books, I am sure you can do it if you put your mind to it. But, most writers I’ve talked to don’t write to make millions. (Though I am sure none would reject the millions if they came their way.) No, most are just hoping to get paid something at some point. But seriously, is that why you are writing? To sell a million copies, or are you writing because you enjoy it? Because you want to write? Because maybe someday your thoughts will reach the right people who need to hear your thoughts? I wrote because I had to write. I desired to express myself. I hope that someday it will touch the people it is supposed to touch. My little book probably has a snowballs chance in hell of getting anywhere, but it does not matter. I enjoyed the journey it took me on and I learned a ton along the way. For that it is a successful experience already! Success comes when you are doing, feeling and experiencing your deeper desires or working to achieve them. If you are being your genuine self as you are doing these things, you are already a success. If you are enjoying and gaining from the process of writing your book – enjoy the journey and the moments as they happen, but don’t tie your happiness to sales. Keep your eye on the real prize and enjoy the process. Let whatever come what may. Takeaway: Create to create because you desire to create. How people react to your creation is up to them. You are not your creation. Take your ego out of the “success” of your creation and see that the process of creation may have already made you a success.